I love a baked circular eyeshadow. It makes application so much easier when there’s a little curved ball to work with. 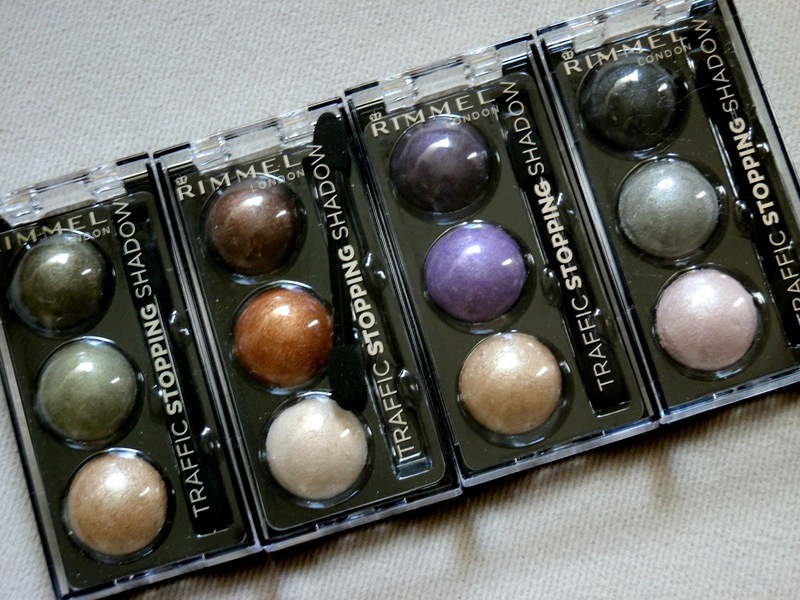 Rimmel London have always been a bit of a ‘go-to’ brand for eyeshadows as they’re always reasonably priced, have decent pigments and an extensive colour range. 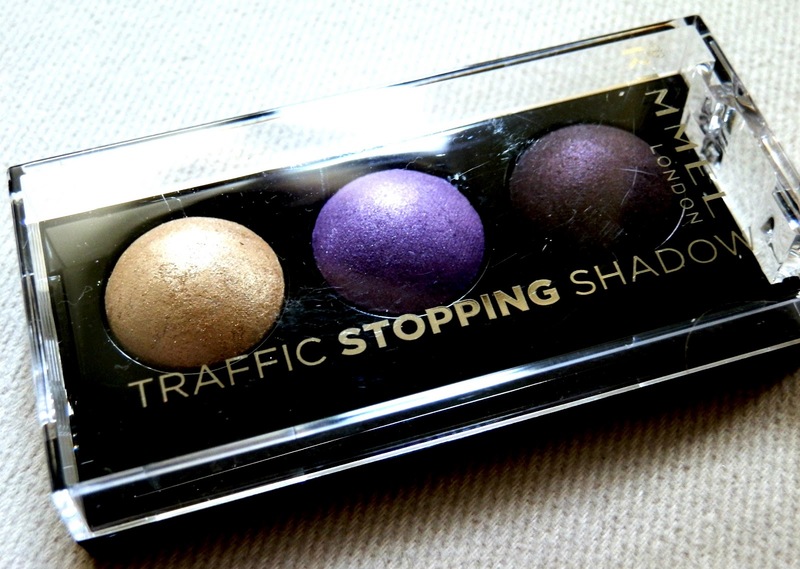 Now they’ve extended they’re vast offering with four new little palettes of ‘traffic stopping shadow’ that, unsurprisingly, look a little like a set of traffic lights. Offering three complementary shades in each pack, there’s a brown, green, purple and grey colour scheme to choose from. 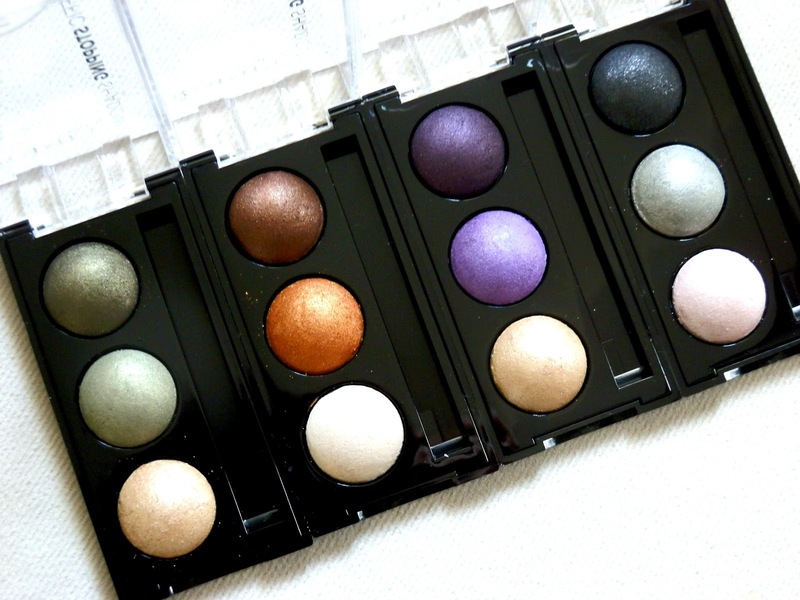 The eyeshadows themselves are soft and easy to blend, giving a good colour result after a few swishes of your brush. 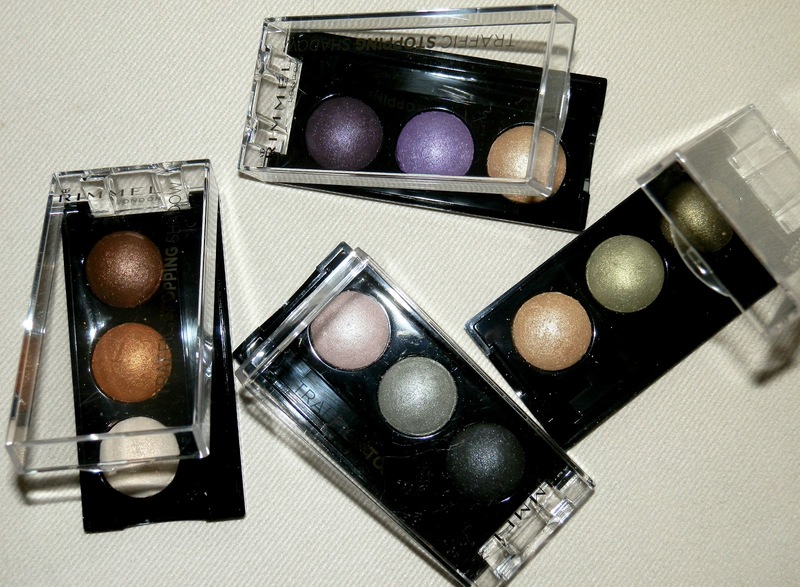 Like Bourjois’ famous little round pots of shadow, these also intensify when wet to give a really strong colour and almost metallic finish. The paler shades all work well as bases, containing a hint of the darker colours to subtly blend into one overall hue and create a universally loved smokey look. I love the fact that none of the colours are flat or matte – every one contains a fleck of shimmer, gold or complementary shade to give it some dimension. You can really build up the colour too, using the darker shades around the water line of your upper and lower lids to frame and awaken the eyes. If you’re not great at experimenting with colour these are an affordable way to play around and try new looks, especially as there’s even a little ‘how to’ on the back of each pack. The pack itself is really handy as the way the lid comes off makes it much easier to use – less faffing with lids is always a bonus in my book. The shadows are secure and have a protective plastic film to ensure they don’t break in your makeup bag, plus there’s an extra long applicator to aid the blending of one colour into another. It’s unusual for Rimmel to launch only four shades of something, so I expect this range to be added to considerably over the next year – that’s fine in my book. Available now priced £6.49 each. Previous Post The best week ever? Baked shadows make life so much easier – otherwise I get the stuff everywhere!